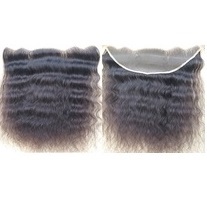 You can place online order sample MOQ: 03-19 Bundles, 4x4" Lace Closures, 13x4" Lace Frontals in mixed lengths and textures as you need. If you place your order on email or whatsapp we will send you invoice you can confirm your order with your payment by . Usually PayPal payments reach our bank within 1 or 2 working days lead time 2 or 3 working days, DHL Express shipping transit 4 working days. 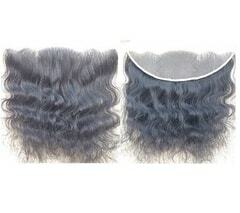 Our hair textures are raw unprocessed and 100% natural textures and our natural curly texture is not curliest just more than wavy because of raw natural unprocessed texture and there is no uniformly because all the hair collected from human heads textures construction will be difference between head to head. This is for your kind information. 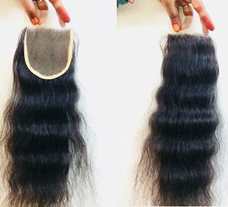 We accept wholesale online order payments by PayPal, Bank wire transfer or T/T, Money gram, Western Union etc., For Wholesale Price List MOQ:20+ Bundles, 5+ Closures, 5+ Frontals. 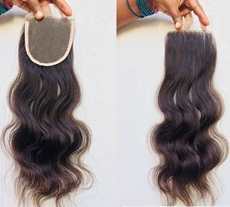 Please contact us Email: indianhairextensions@ymail.com/ Whatsapp: +91 9440478596. Raw Indian Hair Natural Straight Lace Closure 4x4"
Raw Indian Hair Natural Wavy Lace Closure 4x4"
Raw Indian Hair Natural Curly Lace Closure 4x4"
Raw Indian Hair Natural Straight Lace Frontal 13x4"
Raw Indian Hair Natural Wavy Lace Frontal 13x4"
Raw Indian Hair Natural Curly Lace Frontal 13x4"